Booksellers of America is a platform to share the stories and experiences of the diverse people who own, manage, and hand-sell books in the more than 2,400 independent bookstores across the nation. Booksellers have until the end of the day today to nominate a qualified candidate to stand for election to the American Booksellers Association’s Board of Directors in 2019; self-nominations are also welcome. Make sure your coworkers stay in the know by signing up for BTW. In the weeks to come, BTW will report on the upcoming Winter Institute, new bookstore openings, industry news, and more! Booksellers now have until Wednesday, October 31, to nominate a qualified candidate to stand for election to the American Booksellers Association’s Board of Directors in 2019; self-nominations are also welcome. “If you know a smart, engaged, passionate bookseller, please, by all means, nominate them. But if you are that bookseller, don’t wait for an invitation. Nominate yourself,” said ABA President Robert Sindelar. Attending booksellers can participate in an education session on maximizing pre-order campaigns, enter to win a Winter Institute scholarship, and say hi to ABA staff. Here, Sindelar highlights several opportunities for booksellers to take advantage of — and participate in — their membership with the American Booksellers Association. Any ABA member may nominate a qualified candidate to stand for election to the ABA Board of Directors in 2019; self-nominations are also welcome. ABA’s new, improved website features interactive resources booksellers can use to better communicate with the association and other booksellers, including new ways to submit information about store changes. The Hummingbird platform integrates with ABA’s IndieCommerce and IndieLite programs by automatically supplying a “Buy the e-book” button next to the “Buy the Book” button on the bookstore’s title pages. The third quarter of 2018 saw 25 ABA member store openings and 6 sales of existing businesses to new owners. 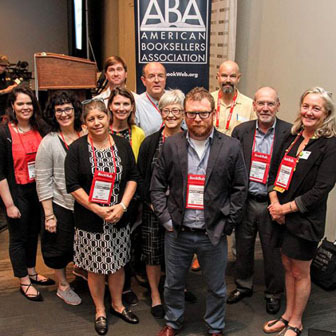 The American Booksellers Association’s Board of Directors met from September 21–23, 2018, in Carrboro, North Carolina, to discuss a range of items. Booksellers attending the 2019 Winter Institute are encouraged to sign up now for special education sessions and workshops. 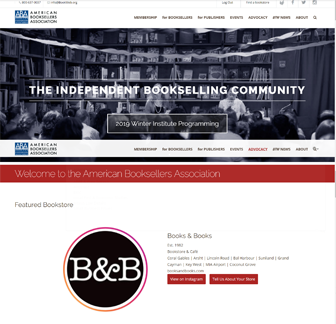 ABA recently redesigned its website to provide bookseller members and its other constituents with a more dynamic, cleanly designed online hub for resources and information.